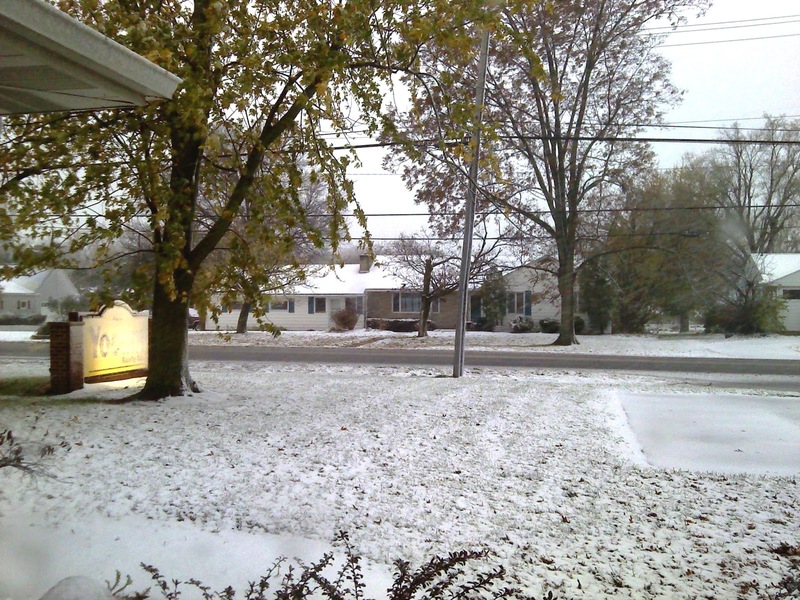 My little part of the world today…snow at the end of October and lots of wind. The snow is slushy and heavy, and, fortunately, not freezing. Wherever you are today please be safe. Brrr! Stay warm, Deborah. Snow looks pretty but let's hope it will soon be gone. How strange that you would get slushy snow while we here in Northeast Ohio have soaking rains and wind. Stay safe and dry! I was thinking of you today, happy to hear you are safe!!! How exciting and pretty this first dusting of snow is for you. My Sam was hoping so much it would come to our house but only rain and mud came. We didn't lose our power but some areas and schools did. The kids were excited to have a NO SCHOOL DAY already. Sending prayers and warm wishes to you friend. This is just amazing!! I was in a short-sleeved shirt yesterday!! Our high is supposed to be 70 today!! Glad to hear you're safe!